Gainesville is located adjacent to Haymarket in Prince William County Virginia. This area has a wealth of history and much of it is linked to the Haymarket area as well. In 1994 the town’s growth boom began with the groundbreaking of the first townhome community called “Crossroads”. Haymarket and Gainesville are both historically referred to as the crossroads as they were the location of the convergence of hunting trails as well as shipping points for the railroad. Today the Haymarket-Gainesville area is experiencing exponential growth as well as developing infrastructure with the improvements to the Gainesville Interchange. Located conveniently off of Route 66 and Route 15, Gainesville is fast becoming a preferred area for city commuters to call home with its pastoral views and luxury golf course communities. Originally, Gainesville was a changing point for stagecoach horses on the Fauquier & Alexandria turnpike. Once the Manassas Gap Railroad reached there in 1852, Gainesville became a major shipping point for grain, timber and cattle. 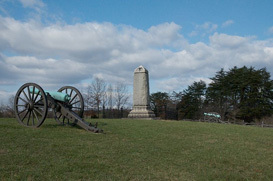 During the Civil War, the area was on the path for soldiers cutting through the Thoroughfare Gap to reach the Battles of Bull Run. Gainesville remained a shipping hub for cattle until the late 1960’s. Now the town has developed into an area of mass-development for suburban residential communities and the supporting businesses. Glenkirk Estates – A master-planned community by Drees Homes featuring single family homes with amenities currently under construction. Heathcote Commons – a community of luxury townhomes with amenities and nearby access to the Virginia Railway Express currently under construction. Heritage Hunt – An active Adult community of 1,863 homes, including four condominiums and single family attached and detached homes within and outside of a gated community featuring an 18-hole golf course, club house and amenities. Saranac at Lake Manassas – an exclusive gated luxury single family home community currently under construction by Brookfield Residential. Somerset – a Ryan Homes townhome community currently under construction. Wentworth Green – a coming soon community of NV Homes single family homes with amenities.